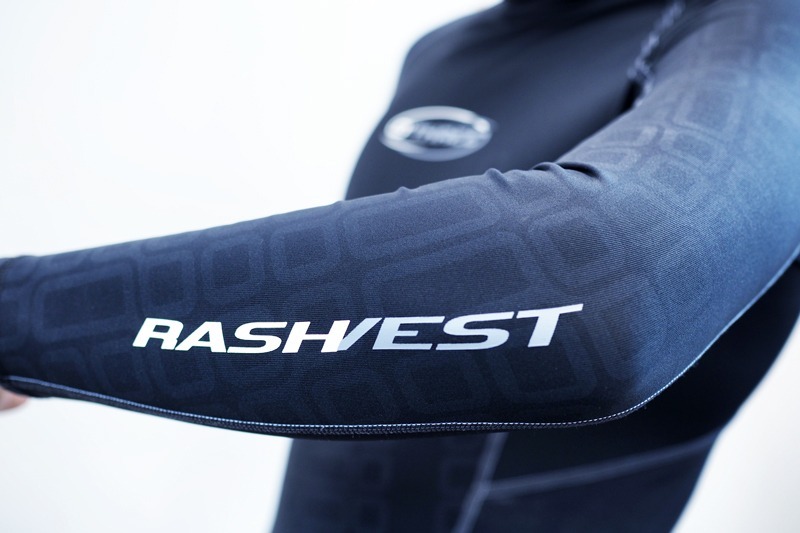 Unless you’ve bought your wet / semi-dry suit from a bargain basement outlet, gone are the days of needing a Rash Vest to protect against dubious neoprene, aggressive seams and itchy linings. 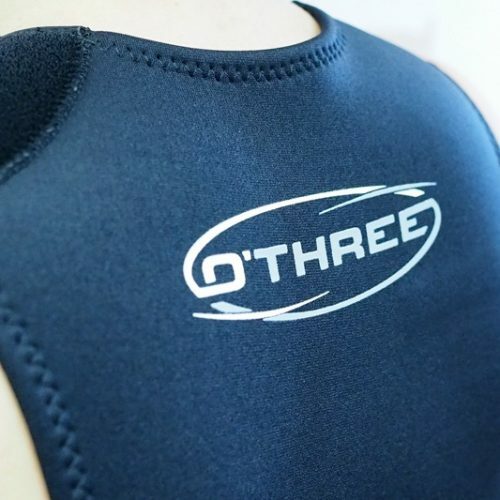 O’Three’s long sleeved Rashvest will shield you from all of the above and because of the quality of fabric, if worn on its own, this vest offers additional UV/UPF50 protection and a practically impenetrable barrier against jellyfish stings. 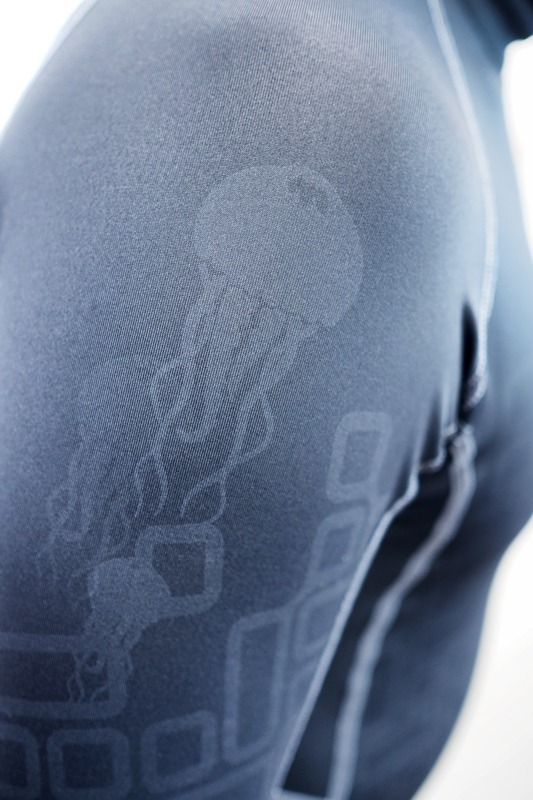 O’Three’s long sleeved Rashvest will shield you from any chaffing or irritations worn under a wetsuit and because of the quality of fabric, if worn on its own, this vest offers additional UV/UPF50 protection and a practically impenetrable barrier against jellyfish stings. 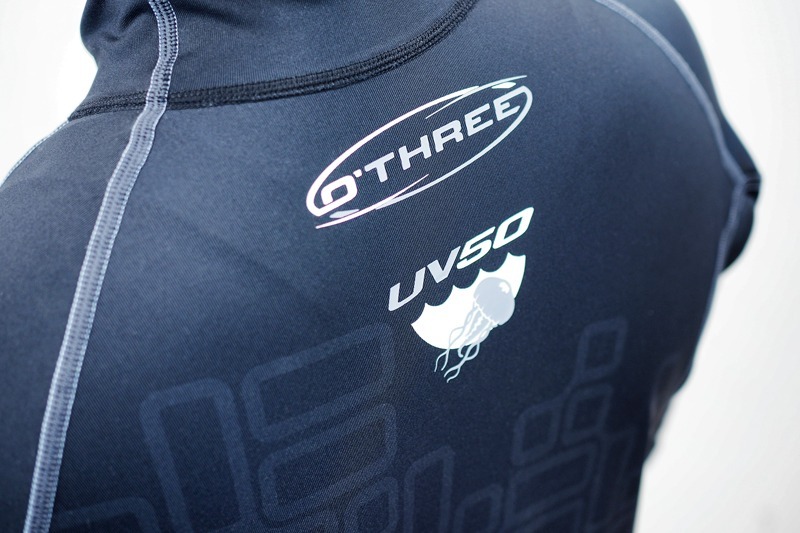 Black with white and grey graphics. 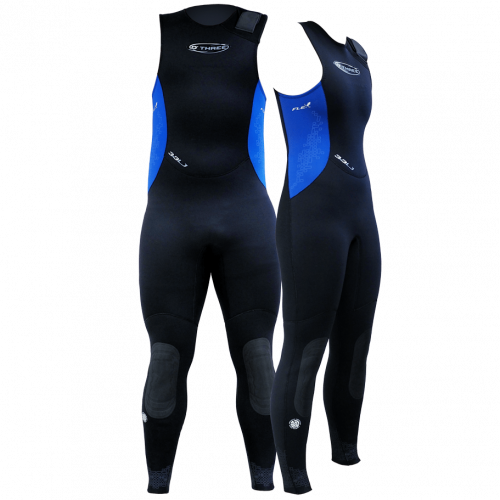 Great for warm water swimming and diving, in the pool or as a base layer under a wetsuit. 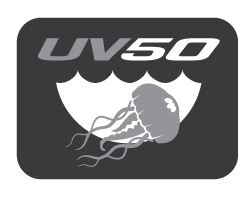 Use – In or out of the water. 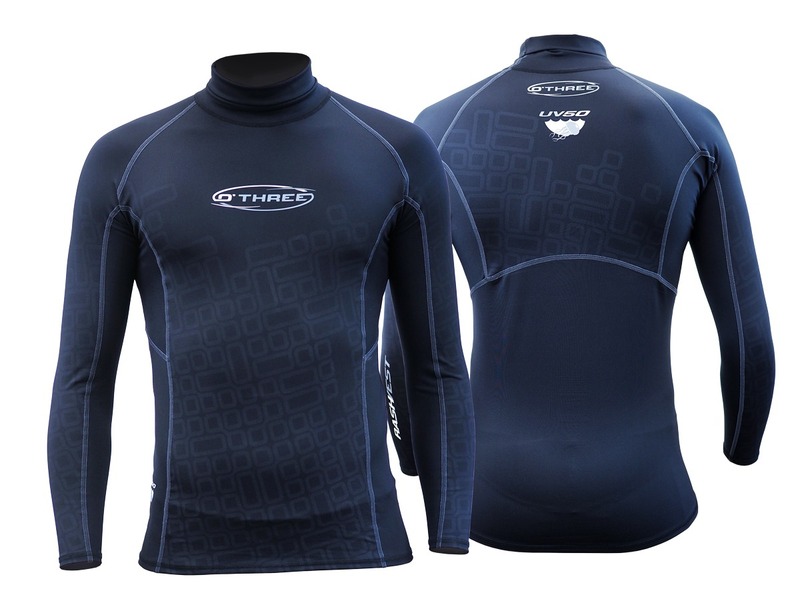 Material – 8oz / 220g – High density, yet luxurious and soft in feel – 86% Nylon, 14% Spandex. 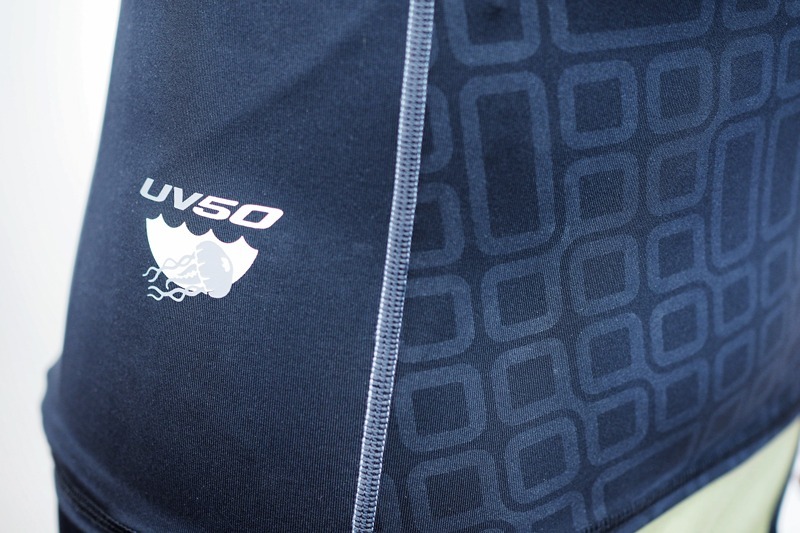 UPF 50 – Helping to keep the most vulnerable skin protected that little bit longer. 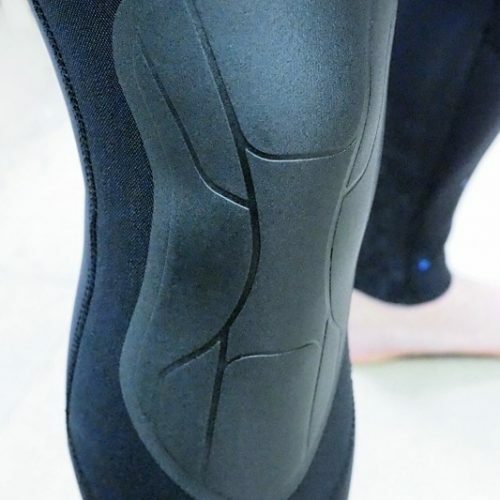 Flush Seaming – Smooth, soft and comfortable assembly method throughout. Extra Small 5’2" - 5’4"
157 - 162cm 32" - 34"
162 - 167cm 34" - 36"
172 - 177cm 38" - 40"
182 - 187cm 42" - 44"
Extra Large 6’2" - 6’4"
187 - 193cm 44" - 46"
189 - 196cm 46" - 48"
Please be aware these sizes are for guidance only. 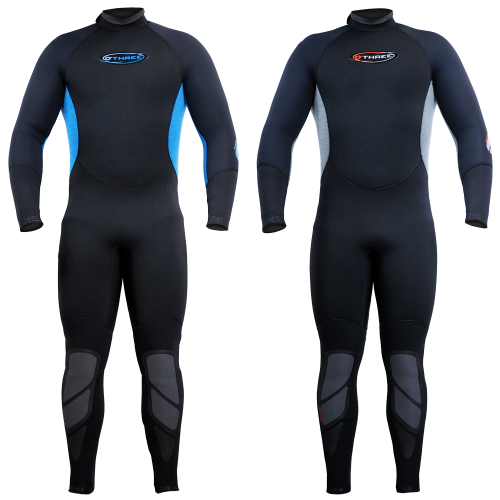 If you are not sure on the size that you might require, please do not hesitate to give us a call on 01305 822820 or use our contact form here.